Much later than normal due to a public Holiday, we finally have this week's Nintendo Download Update details for Europe. There's a hotly anticipated Wii U retail exclusive, of course, while there's also a retail arrival on 3DS. Wii U owners have more options with an intriguing Indie effort and a couple of less common retro treats, which there are also a whole load of discounts to ponder. Let's get to the details. High Strangeness (Midnight City, €9.99 / £8.99) - Developed by Barnyard Intelligence games, this is described as "a hybrid of 8 and 16 bit games - a 12 bit adventure", incorporating retro RPG and adventure game mechanics. Jumping between bit-based realities, with watercolour illustrations also thrown in, you need to solve puzzles and tackle the strange storyline. Though it's not without flaws, we gave this a solid recommendation in our High Strangeness review. 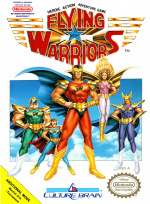 Flying Warriors (Culture Brain, €4.99 / £3.49) - This never arrived in PAL regions on NES, so represents a bit of an 8-bit virtual import treat for European gamers. It incorporates a range of attacks and ninja-like abilities, and we're certainly intrigued; we'll bring you a review soon. This is the US version of the game. 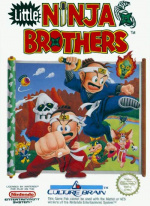 Little Ninja Brothers (Culture Brain, €4.99 / £3.49) - This one did get a PAL release back in 1991, and brings a cartoonish RPG-like 8-bit experience; it also features two player support and some sports events to pass the time. We'll be like a ninja and get a review to you soon. This is the US version of the game. 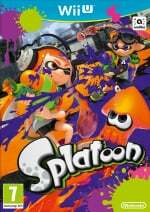 Splatoon (Nintendo, €35.99 / £31.49 with Splatoon Global Testfire demo download on same Wii U, otherwise €39.99 / £34.99 ) - Certainly the most notable Wii U release of the year so far, this new IP is Nintendo's unique take on the shooter genre, with a third-person view and a focus on claiming territory as well as kills. There's a single-player campaign on offer but it's the online multiplayer that's likely to grab the most attention; we'll bring you our review ahead of its release - available from 29th May. Fossil Fighters: Frontier (Nintendo, €39.99 / £34.99) - The latest retail 3DS title published by Nintendo, this follows up on DS predecessor in which you explore and uncover fossils; these become your dinosaurs with which to battle. "Like Pokemon but with dinosaurs", as our editorial director Damien McFerran puts it, this also has local and online battles for up to six players. We gave this a solid recommendation in our Fossil Fighters: Frontier review. Available from 29th May. No downloads for me this week but have a copy of Splatoon on the way. Hopefully it will be here Thursday! SPLATOON SPLATOON SPLATOON SPLATOON SPLATOON! And that's it for me. If one has since deleted the Splatoon Global Testfire demo from my console will I still get the discount? @TimeFart you should be ok as the download is tied to your nnid. Im pretty sure you'll be fine as it will be in your download history. Splatoon retail for me this week, cant wait!! I reckon I'll get the Splatoon and the Pokémon Eevee themes. Ain't it ironic though, that the Pokémon Shuffle theme costs more than the game itself? Nothing to download this week (busy making my way through my rather sizeable VC backlog) but have a physical copy of Splatoon on preorder. Splatooooooon!!! Can you preorder on the eShop now? NA can already predownload since last week. Also no Splatoon free theme? Splatoon! Nintendostore have dispatched mine yay! Splatoon! At a lovely price point, too! I'll be travelling to Laos PDR tomorrow and wont be back till Friday evening but I've pre ordered a Splatoon download code so it will be there for me coming back.Got my digital code for £26,bargain! Splatoon wasn't my cup of tea, so nothing for me this week as usual. My archaic internet set up precludes me from Splatoon - at least until I see a review of the single player content. I will hold off any purchases until july comes for the glory of pummeling badguys in the face with my bare knuckle on the streets of rage! Grand upper!!! Getting the special tshirt set of Splatoon with the green Inkling from Nintendo store so i chose the theme (it would be rude not to!) Also, i'm not deleting the testfire demo in case they have an added bonus. Some games do if you've played their demo. I doubt we will but it's always worth a shot! I'd love the Splatoon theme, but as usual, I refuse to pay £1.80 for a theme. Little Ninja Brothers sounds interesting, will read up on that. Had email confirmation that pre-order of Splatoon is on its way!! No discounts grab my attention. Nothing for 3DS this week aside from that dinosaur game. I am a sad Mudkip. Splatoon retail and Splatoon 3DS theme! That said, the Wii U VC this week is pathetic, where's MMBN3 and MM&B. @Kaze_Memaryu - There it is, youre avatar looks naked w/o it. Splatoon on Wii U and Fossil Fighters on 3DS being the same price means either everybody is underpaying for Splatoon or overpaying for FF. Include the 10% Splatoon discont and its even more lopsided. Ill probably pay my $60 on Friday - Target will probably have it displayed today but the register wont let me buy it - but Im still annoyed about the overseas price differential. Wont be downloading anything though. I still don't get why Splatoon is so much cheaper in Europe and yet, full $59.99 (or $69.99 in Canada) across the Atlantic... Seriously, favoritism much Nintendo? We feel like the child you don't care about over here. And before people tell me that their currency is worth more so it's cheaper, €39.99 is $43.73USD and $54.07CAD so you're paying less after taxes than what we are even before them. 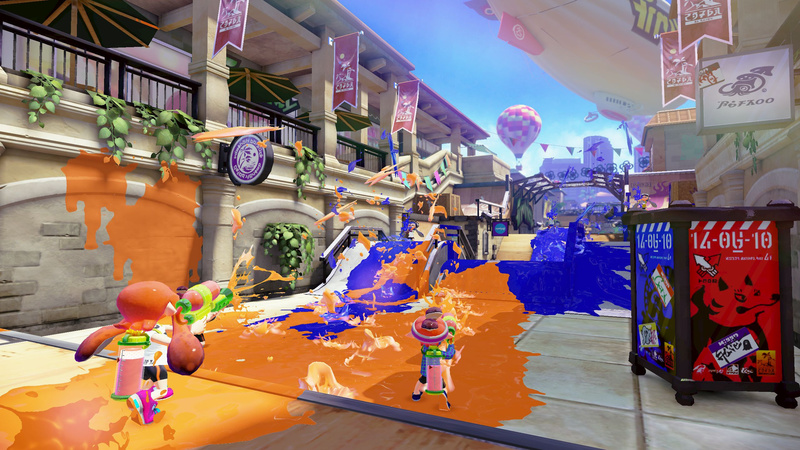 Splatoon retail obviously! I've also got the three amiibo ordered with the strategy guide and the beanie to wear while playing! So I'm ready to Splat!! What a terrible week, could have thrown in an N64 or Wii classic for those of us not interested in Splatoon! Splatoon is an anagram of Stool Pan, coincidence? I think not! Well nothing for me, plus if i had a wii u it would be much better. Im saving up for NEW nintendo 3ds. Another week of nothing, not even some cool VC releases. Tested the Splatoon-demo, but the online bit doesn't interest me - I'll wait for a proper review of the offline part. Kinda tired of Splatoon after all the hype, already feels like an old game. Getting Splatoon on disc, it propably arrives tomorrow since they sent it this morning. And still no AVGN Adventures, of couse. 35€/40€ for Splatoon? How is it that then, that it is $70 in CA? I might get splatoon, maybe with yoshi woolly world when Yoshi woolly world release in Europe. So not this week. @DEAD so that means they should get them a lot cheaper than other places? That seems like Nintendo is just giving us the finger. Depending on how that Splatoon Theme looks and sounds i might pick that one up. I wonder if there's a reason we aren't getting the culture brain virtual console games in na? I'm getting Splatoon on disc so nothing for me. Not interested in Splatoon at all. I've tried to get excited about online gaming but it seems that I'm just too old-school for that. I played MK8 for a couple of weeks online and then couldn't bother with it anymore. To me it's sad to see gaming slowly sliding more and more into that. Still don't know why Splatoon is so cheap in Europe. Even with current exchange rates it makes the game $43 USD. If Little Ninja Brothers is what I think it is, all I can say is damn, I did not see that coming and it will be a day 1 purchase for me. I played that back when I was a kid and I remember it being a ton of fun. I love the old games coming back on wii u. Man I wish we got that Splatoon discount in North America. I'm gonna buy it, but it's starting to feel like every Wii U game I buy is $5 more than the last. @ThomasBW84 Like @OniinSide pointed out, there is a problem with this part of the update. How do you buy the same downloadable game twice on the same console with the same NNID? @ikki5 Agreed. This is some hard-core Bull poo poo. Jose Otero from IGN said we'll expect the review on the 27th. That said, you'll get mostly a review in progress even on Nintendo Life since they'll test the online functionality on launch first before finalizing the review. definitely getting splatoon this week , might also try to snag that splatoon themed squirt gun at target. @ThomasBW84 "available from 29th May." That's confusing, so will the Splatoon Download be available from 28th and the game can be played from the 29th on or will the Download be available from 29th? Splatoon pre ordered from Amazon... Very much looking forward to it! No downloads for me... but I have Splatoon on pre-order, so I'm going to be pretty darned busy. @ikki5 ONCE there is a game cheaper in Europe than in NA and you are getting the finger, lol. If you are jealous of European prices I invite you to come over and enjoy the great prices for amiibo (over CDN$ 20 each, which is a third more than the price you pay!) or other games. Overall NA is still the region of the whole Western world with the cheapest video game prices; and that's including Canada. Get some perspective and stop the whining, geez. @scamander I hate to bust your bubble but aside from the UK, Most of Europeans prices are on par with Canadian. With our dollar dropping as it is and our games going to 69.99$, we are paying $80.49 to your equivalent $81.19CAD. So you're paying a whole $0.70 more than we are and you have 5-7% higher taxes than we do. The illusion of taxes included in your prices vs taxes not include in ours makes it seem like you're paying more. And when our games were $64.99 and our dollar was stronger, it was about the same still only you were paying about $1.50 more. If they took the base price of your games and matched them with Canada, you'd have more than a $0.70 difference. You technically have a better deal than Canadians so no, what you said does not include Canadians. The only way for it to be a worse deal for you now is if our games go back to $64.99 and our dollar strength remains the same or worsens. As for Amiibo, yes, you are paying a bit more however, they are not a third of what we pay as we pay $18.50 for an amiibo to your $20.25 which puts them at about $1.75 more which is hardly a 3rd of the cost. Try about 8.6% cheaper, pretty big difference there. @ikki5 All the available amiibo on amazon.ca are about $14. And the only reason the difference with games is so small right now, is because the Euro dropped significantly the last few months. It's not always been that way. Games on other consoles are 70€ btw. So yes, even now you have it cheaper most of the time. @scamander I don't shop on Amazon because the shipping puts the price over what you'd get in stores anyway because 90% of the time, we have to pay shipping on it. As for the other consoles? This is Nintendo, I don't care about the other consoles, this is like comparing apples to oranges as they are two separate companies. Seriously, people need to stop talking about the other consoles like when one consoles does something, it justifies what happen to X on another console. As for the Euro dropping... guess what... the Canadian dollar has been doing to same... The prices in Canada have always been higher than what the US has been for this console generation meaning that if it was 59.99 for you, it was 64.99 for us and even then after the exchange, Canadians almost always paid similar to the European prices. European prices were usually a little higher though, maybe 1-2, $3 max when it came to games on Nintendo however, your taxes are higher to naturally, you'd expect to pay a little more. Even when our dollar was on par with the US, we still paid a little more. If you really want to go back to when we are actually substantially cheaper, then you'll need to go back to around 2008 or before. Splatoon and High Strangeness! Maybe the RCMADIAX sales. Have all the others. Will wait for Splatoon to actually be finished before paying full price. The inability to make lobbies with friends at launch is unacceptable. Plus, between now and August I'm sure Amazon will have a price drop. I'm unaware of German public holidays, it's just a random coincidence this year or a lot of them just happen to be on mondays? "Any game is worth 64 pence!!!!" I used to put that in a coin op to see if a game was good. I might get the Splatoon 3ds theme menu.